Paige Mycoskie and her mother Pam. Margot Bisnow wanted to learn how self-starters got started. What was the secret sauce used by parents who had raised incredibly successful entrepreneurs, people who had started their own companies and non-profits, as well as actors, musicians, and activists? In Raising an Entrepreneur: 10 Rules for Nurturing Risk Takers, Problem Solvers, and Change Makers, Bisnow interviewed 60 successful entrepreneurs –and their parents—to see if there were practices they had in common. “Every entrepreneur in my book had someone – usually a parent and typically their mother – who believed in them,” Bisnow said. But doesn’t every parent believe in their child? “Of course, parents love their children and they want their children to be successful. They might even think they believe in their children, but do they really? How often have you heard parents say, ‘Yes, you may take music lessons in high school, but you have to major in something useful in college.’ Or, ‘After you get your MBA, you can spend time developing your computer game.’ What message does that convey to the kids? That they aren’t really good enough at what they love to make a living? That isn’t what moms of successful entrepreneurs tell their kids, says Bisnow. 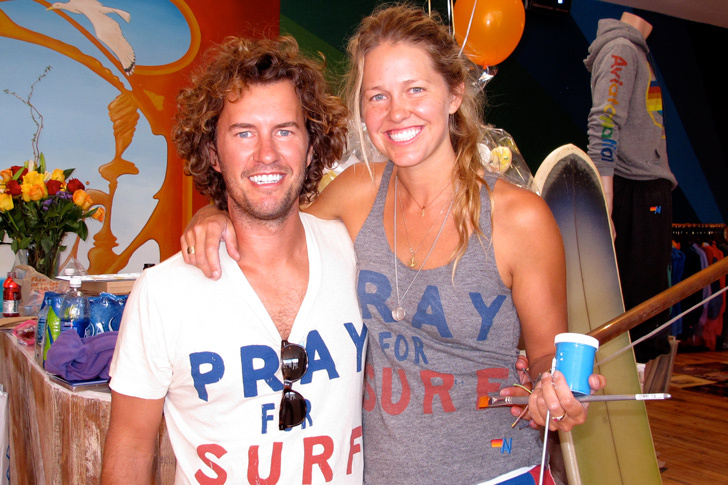 Blake and Paige Mycoskie, founders of TOMS and LA: Aviator Nation. It’s not often that two siblings each start incredibly successful companies. Paige Mycoskie created a popular vintage style clothing line called Aviator Nation; her brother, Blake Mycoskie, founded TOMS. Their mother, Pam, enthusiastically supported both of her children’s interests. Would other parents be excited if their 20-something child came home and started sewing? Pam Mycoskie was. She told me Paige was always really creative and loved art of any kind: Whenever I took her to the toy store, she always chose art supplies. She drew rainbows and hearts when she was a little girl; and that’s where the stripes came from on some of her clothes, especially the kids’ line. Paige’s dream had been to design the kind of clothes that she liked. In 2006, both our parents had given her $100 for a birthday present, and she said, “Mom, I want to start a clothing company and I’m going to buy a used sewing machine today with my birthday money.” She didn’t know how to sew until she bought that used sewing machine. She’d been renting her apartment in California from someone, and suddenly they sold it, so she came home to Texas with her sewing machine, and said, “I’m just going to stay home for a couple months to sew.” She stayed for almost a year, working long hours every day. She started making her own patterns, cutting things, sewing things on T-shirts. She made 50 garments. We drove back to California after she’d been sewing for a year, and found her a place to live. She went to Fred Segal, a high-end store that caters to the fashion forward, with the 50 garments. They bought them all! Paige opened her first store on the trendy Venice street Abbot Kinney three years later in 2009. She now has five stores. Her clothing line is also in Bloomingdales, and she’s designing a special line for GAP. GQ just gave her an award as one of the year’s Best New Menswear Designers. In 2008, I looked at Blake’s journal, and I realized with a shock that he and Paige had started their companies on the very same day, Paige’s birthday, February 26, 2006! He was in Argentina. In his journal, he had drawn a picture of a shoe, and written, “ buy a pair today, give away a pair tomorrow; TOMS is short for tomorrow.” That’s the day I’d gone to L.A. to spend Paige’s birthday with her, and she told me she’d decided to buy a used sewing machine with her birthday money. They started TOMS and Aviator Nation on the very same day. Raising an Entrepreneur is available on Amazon.